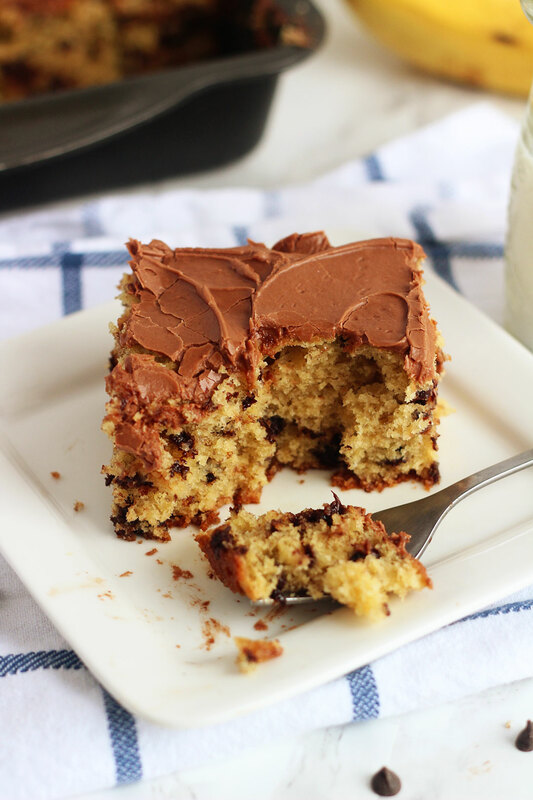 This Chocolate Chip Banana Cake is the perfect thing to make with those ugly, overly ripe bananas that are sitting on your counter, staring you in the face. 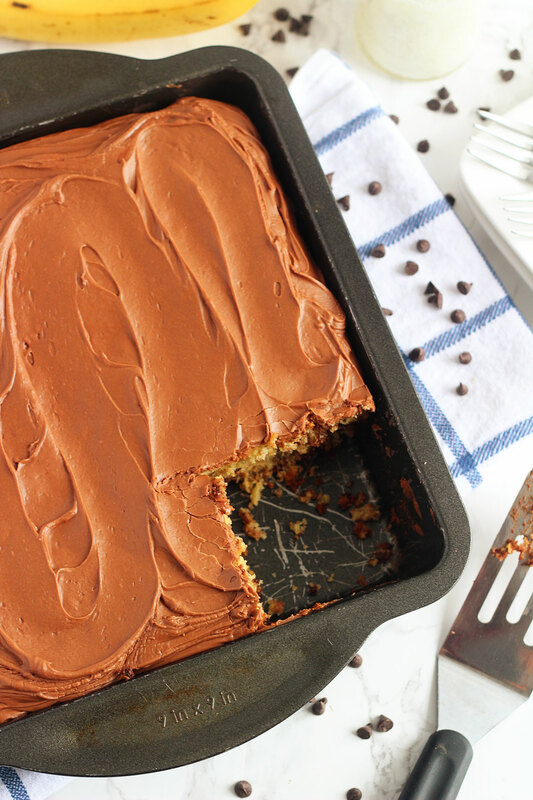 This cake is so delicious and full of chocolate and banana flavor. Everyone loves this cake! I’ve mentioned before that it literally never fails I always end up three way-too-ripe bananas sitting on my kitchen counter, staring me in the face, begging for something to be done with them. So I am always searching for new ways to use those bad boys up. This Chocolate Chip Banana Cake was the last thing I made with those three mooshy, spotted, aging bananas sitting on my counter. This cake seriously scored rave reviews at our house. I’m not even joking when I say I got one piece. My husband and two oldest sons, Josh & Zach devoured the rest of it. I couldn’t even share this one with neighbors. . . sorry guys! If you’ve got bananas sitting there getting browner and browner by the day, you REALLY should make this cake. Then pour yourself a cold glass of milk and cut yourself a big piece of this cake . . .you will be so glad you did. Hop on over for the full recipe.